The balsamic vinegar of Trentino. Italy is full of great products whose history is millenial and so it happens that the same product could be invented also in other regions of Italy. 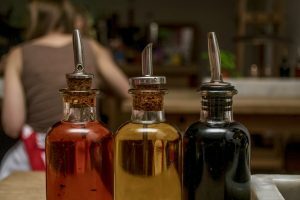 That’s what is going on with the Balsamic Vinegar and in particular, the balsamic vinegar of Trentino, a region part of the North of Italy. The Trentino product, too, wants to get the title of “balsamic vinegar”: in fact, the 27th annual review of the national list of traditional agri-food products is in progress, and the forthcoming novelties would be the introduction of balsamic vinegar of trentino, which in its name refers to the protected Emilia products: the Traditional Balsamic Vinegar of Modena PDO, Reggio Emilia (always PDO) and Balsamic Vinegar of Modena PGI. The problem is that, according to the Modenesi deputies Pd Davide Baruffi and Manuela Ghizzoni, the product from Trentino would not reflect the requirements set out in its ministerial decree. The Consortium for the Protection of Balsamic Vinegar of Modena called to express their comments during the ministerial inquiry, claiming the fact that the production methods of the balsamic vinegar from Trentino reflect the requirements of the specific ministerial decree of 1999, which lists the traditional agro-food products only those whose methods are ‘homogenous and according to traditional rules and extended over time, however, for a period not less than 25 years’. That is why they decided to bring the matter to the table of the Minister Martina. It is clear that it would be dangerous to give to the original balsamic vinegar of Trentino the certificate as the one of Modena. As a matter of fact, every region has its own product that can distinguish them from any other present on the territory and the original balsamic vinegar of Trentino it would be just the beginning of a copy and paste of other italian products. Next Balsamic vinaigrette recipe? How to make it.